If you’re a huge game lover, but bored with all of the already existing games, here is one that we are sure you are going to love. 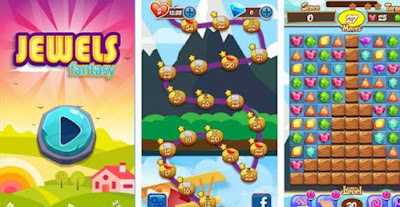 We present to you Jewels Spring: Star Fantasy, a fun and lovely puzzle/match 3 game available on the Android platform. Like we said before, the game is entertaining but very challenging and it can hook you up to your phone and tablet. We also liked the whole design, which is full of colorful spring backgrounds, clean interface, animated visuals and interesting sound effects. Jewels Spring: Star Fantasy has simple gameplay and you will quickly learn how to play. Your objective is to swap the jewels and match minimum 3 of them in one line. Eliminate all of the jewels in order to win the levels and go to the next one. 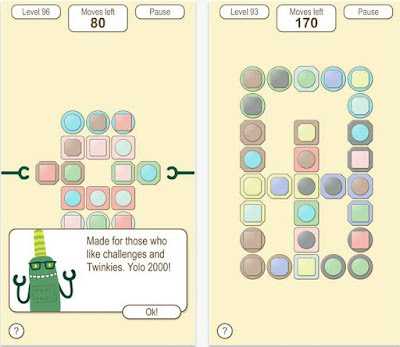 There are more than 100 levels, each of them made with different difficulty. Win as many as you can and try to complete the required target and collect all the stars. You can also use some power-ups that may help you. Reach higher scores, pass the levels and share the game with your loves ones. Download it today, it is free on Google Play. If you want to add up some extra fun to your device, we have the perfect recommendation for you. We’re talking about an app that we discovered the other day, called Celebrity Face Trade. This app is developed by Brad Kuskin and it is now available on the iOS platform. Intuitively designed, with well-organized features and great graphics, this iOS app will certainly make you time more entertaining. Using advanced facial recognition technology, the Celebrity Face Trade app allows you to insert celebrity faces into your new or already existing photos. Upload any photo you like, such as a selfie or some family portrait and let the app do its magic. You can choose the match rating and discover to which celebrity you look like the most and swap you face with him/her or do a manual search through the app’s catalog – there are over 5.000 celebrity faces featured within. Swap, complete your photo and save it in your device for free. There are over 50 fonts that you can choose from and add some fun text to your photo and 20 fantastic frames to add to your masterpiece. Share your new celebrity image with your friends and family or post it to any of your social media accounts. Download Celebrity Face Trade from the App Store, it is free of charge! When you download the SwapMe app you will quickly learn how to use its features. The developers integrated new technology that uses facial feature detection, gaze tracking, head pose estimation and engagement and attention estimation. It allows you to have fun while swapping the faces within the images you upload. 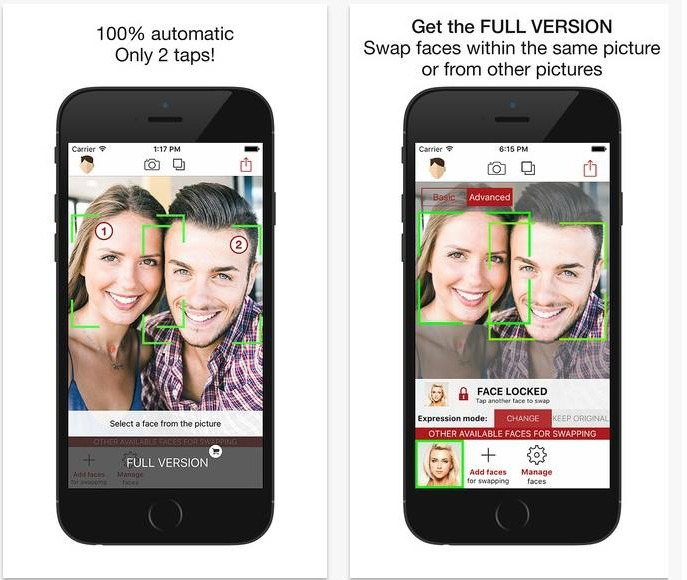 Edit any image you have in your device or take a selfie with your loved ones and start swapping the faces immediately. Here are few tips for better results: make your face more visible by putting away your glasses or your hair that may affect the final result and use frontal faces when possible. One of the most popular ways of sending messages these days are messaging apps. If you want to communicate with your friends and family but in a more entertaining and engaging way we have the perfect solution for you. 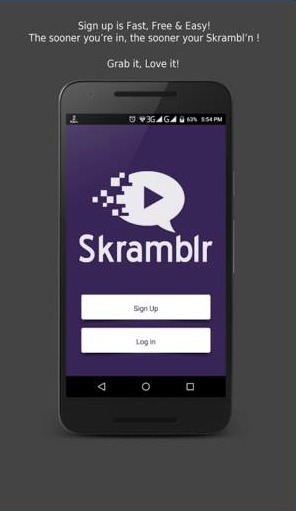 We present to you Skramblr, a new multi-messaging app available on the Android platform. It is designed with wonderful graphics and intuitive user interface and it compatible with both phones and tablets. The Skramblr app elevates the way you send and receive messages on your device. This app with a global reach, full of brilliant visuals, allows you to send text, audio, photos and videos with all of your friends. 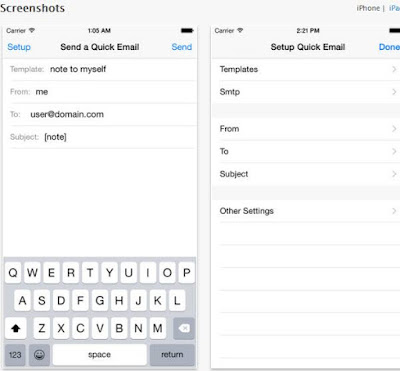 You will be able to “skrambl” your messages and encrypt your chats with simply touching a button. That way you will secure your communication and leave them unexposed. You can pick your own theme color and send all kinds of fantastic animations and 3D nano-movies which can be found in the app’s catalog. Share your animations within the catalog, become a skranimator and follow and vote for the animations you like or share the other people’s work. All you have to do is download the app and sign up for free. Then invite your loved ones from your address book and start enjoying a richer and more engaging content only in your device. Get Skramblr for free from Google Play (it is soon coming on the iOS platform). "A grandfather is someone with silver in his hair and gold in his heart". 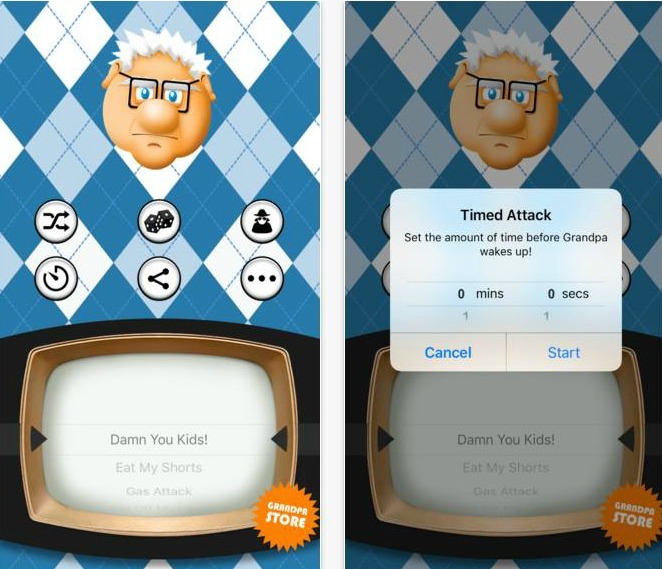 Thus, today we will present you a grandpa inspired app - Grumpy Grandpa 2. Using this app is an amazing way to pay tribute to our grandpas and a fun way to get the family together and share a few laughs that will create a stronger bond. You can even make fun of them and imitate their sayings as there are some really famous grandpa quotes included here. Make sure to share this app with your family and friends and break the silence with having everyone around you laughing. It's available on the App Store for free. If you are a game lover, then you certainly want to play many games on your Android or iOS device. One of the most entertaining games that can be played on our phones and tablets are puzzle games and match 3 games, so this is why we recommend an amazing one today. It is called Pets Splash Matcher, a cross-platform game designed with intuitive user interface, HD graphics with well-picked colors and backgrounds and very interesting sound effects. Pets Splash Matcher features an engaging gameplay, with simple controls and rules. Your main goal is to match more than 3 fruits and vegetables by swiping your finger on your display. Match the food and feed your baby pets, they are very hungry! There are many birds, dogs, cats, etc. in this pets’ world, so make sure you collect as many points as you can and mix the food for extra boosters. You lose the game when you ran out of moves, but you can always press the restart button and start again. The game contains many levels to play through, each one of them with different difficulty. Don’t left the cute pets hungry, win all kinds of trophies, awards and achievements, score higher and track your scores. Share the Pets Splash Matcher game with your loves ones and share the fun. Download it now, it is free on both Google Play and the App Store. Everyday stress can cause many problems in our overall health. This is the reason why we need to relax and calm our mind. And what’s more relaxing and restful than doing yoga? What if we tell you that now you can do it at home, without paying the money for classes and have every yoga class in your device only? Yes, it is now possible with the one and only Yin yoga app. It is a cross-platform app, beautifully designed and easy to use as well. The Yin yoga app has yoga sequences that can calm and balance your mind, make you feel more energetic and happy. It contains 30 yoga classes that you can perform any time you want, anywhere you want. They are read by the author and presented with amazing images and clear text description, so you will be able to learn them easily and quickly. There is also a longer guided Still Rest and a Mindfulness Meditation included. You will feel like you are practicing in one of those yoga classes, you don’t need any special equipment and there’s no need of changing your clothes. It has never been easier to renew your energy and vitality, just start the app, lie down in the simple positions, relax and just be. Get Yin Yoga for only $4.99, it is available for download on the App Store and on Google Play too. Managing portfolios and dealing with finances can get quite complicated if we don’t use some tool to help us. 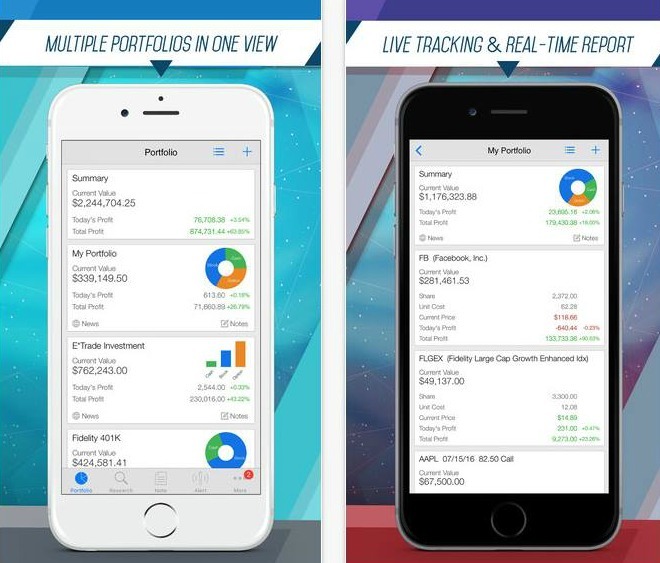 A kind of a tool that can offer us the help we need is Active Portfolio, an incredible finance app that was developed by Mobile Interactive and launched on the iOS platform. If you want to own a real-time stock portfolio tracker, this app is a must for you! Designed for both iPhone and iPad, the Active Portfolio app is easy to use, super-fast and very efficient. It contains powerful tools, options and charts, making your trading process much easier. All you have to do is start it and start with making and managing your own portfolios. You can create as many as you want to and be able to track the value, the performance, the profit and the loss. The app also features stock price alerts which will alert you about any news, earnings, dividend, portfolio summary, top mover, etc. You can add a password, customize the background image for each portfolio, easily adjust the contents and many more. Active Portfolio is a must-have for all of your trading options, covering everything you need to know about the stocks in the US market. So, if you want simple live-tracking portfolios and real-time reports. Download the app, it is free on the App Store. Spotify might be the top player when we speak of best radio apps for Android devices but needless to say, it’s not the only radio app built for Android smartphones and tablets. In fact, as it turns out, there are plenty of radio apps out there on Google Play. But then, not every app is actually as good as Spotify or Pandora. That’s where “you get what you pay for” comes into question. But if your primary search is for good Android internet radio apps and you are not intent on paying a hefty monthly fee for apps like Spotify, you should take a look at the great radio app Replaio. Cave Creek, AZ, June 22, 2016. The successful, world-class powerful voice of the hypnotherapist Victoria Gallagher is back again with a new app, this time dedicated to help all smokers to get rid of the heath-destroying, awful habit. The app tends to solve the smoking problem and help the listeners be strong in maintaining their will to stop smoking. The addiction will be stopped if users patiently implement the 3 step process included in the app. The goal of the app is to guide users through their subconscious mind and help them remain committed to permanently quit smoking. The Stop Smoking Hypnosis App will help users become a non-smoker more naturally and easily. “I have created many different hypnosis apps. Few months ago, as I was talking with one of my patients, I realized that I am not doing nearly enough to help the millions of smokers in our society today. Smoking has been negatively affecting people’s lives for decades. After careful consideration, my team and I started working on developing an app which can help the masses versus what I am able to do in a one-on-one session. This 3-step process is now being used and working well on my clients. I am excited to release it to the world so everyone can access this easy-to-use and intuitive hypnosis audio app”, stated Victoria Gallagher, hypnotherapist and creator of Stop Smoking Hypnosis. The program is tailored in a 3-step process that users can finish in just 3 weeks. The hypnosis audios are narrated by Victoria Gallagher. “I have been in the business since 1999. I think these day the hypnosis and technology are a match made in heaven and benefit many more people in the comfort of their own home. I am continuing to work on creating new hypnosis apps, several of which are scheduled to be released over the next several months, as I truly believe in their power and the value they can offer”, she added. The app is free and available on the App Store. Ever since they were introduced few years ago and were large populated in US by the famous vlogger and film maker Casey Neistat, the hoverboard is experiencing some sort of boom as a great way to have fun while traveling. At its core the hoverboard is a self-balancing 2 wheel scooter. You can buy them on the Internet from various websites. The prices can range from $150-2000 depending the brand, power and built material. Let’s see what determines the price, where you can get it and how to drive it. Hoverboards have different series which have different prices. Don’t be surprised if some series cost a lot more than the others. That is because they probably have better casing, battery and power. This leads to the basic features and specs you must look into before buying a hoverboard. Besides the series, the body casing is extremely important. Solid and quality body casing will spare the hoverboard from permanent damages and enable you to enjoy the hoverboard in more extreme environments. The wheels and tires are the next spec you want to watch out. The rubber tires and the aluminum wheels are practically a standard. If you are particularly interested in a certain model, then it would be smart to ask other users about the feel of the tires and the wheels, because the feel is extremely important. The battery is important as well, because more powerful batteries will enable longer periods of riding. Try to buy hoverboards with lithium batteries that have higher mAh. The voltage and the Watt amount on the other hand determine the hoverboard speed and power. The hoverboards with higher Watts and higher in and out voltage ratio are usually more expensive. Just follow this parameters, buy from reliable vendors and read online reviews related to that particular model and you will most likely buy the best hoverboard for your needs. If you never used a hoverboard you will most likely have hard time learning to ride one. However, after several successful attempts, you will most likely never have any problems riding hoverboard again. You can find a good tutorial on how to ride a hoverboard here, but you can also watch videos on YouTube that feature step by step guides. The key is finding the right balance and getting the right brain-body connection. Hoverboards are a great way to have fun. They are one of the most popular tech gadgets nowadays. They can be used for transportation on short distances and can replace the bikes and the skateboards as another extreme tech gadget. The cool thing about the hoverboards is that they can be also driven in closed rooms and on various different surfaces. They are easy to get and relatively affordable. Hope this article will help you in getting the basic features and functions of this self balancing 2 wheel scooter. Being a businessman sometimes requires a lot of travelling across the world, at unfamiliar places. So, you go to a place and struggle with finding the services you need. We understand this and that is why today we are presenting to you an incredible app that we found in the Business category on the App Store. The name of the app is chozun and it is compatible with both iPhone and iPad. Its design is great and you can use it easily because it is very user friendly. The chozun app has well packed features that can ease your travelling by providing you on-demand personalized services. It really is one of the best travelling companions that you can have in your device. It offers various services, such as a hairdresser, beauty treatments, manicure, make-up, personal training, yoga and meditation, laptop and phone repair, tailor, local guides, language translators, etc. To enjoy these offerings, you have to connect to the app with your Facebook or Twitter accounts or with your email. Choose the service you need, book it and pay. Within 1 hour, you will receive the service that you required. The chozun app is simple, affordable, reliable and useful and it can be downloaded for free from the App Store. Today we are presenting to you an easy and professional online conferencing service and powerful platform for video collaboration, we have the perfect app for you. The app that we’re talking about is called EZTalks. Now, both Android and iOS users can enjoy HD video conferences on their devices, anywhere and anytime. Video conferencing has never been easier! 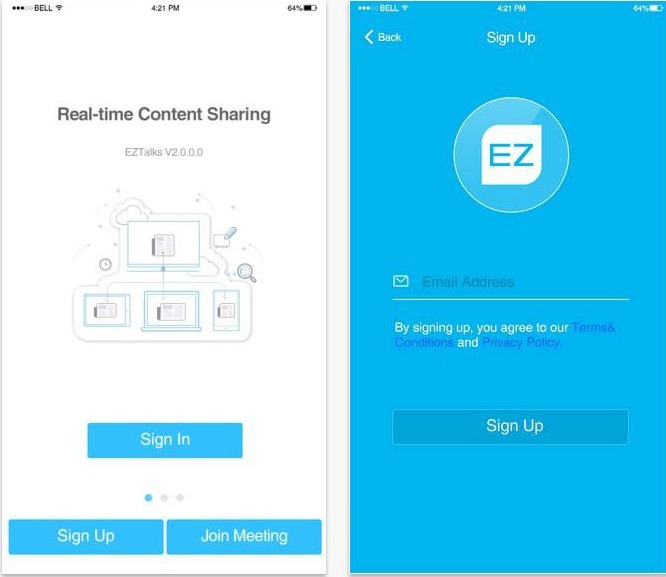 With EZTalks you have the unique opportunity to join or host any online meeting right from your iPad or tablet. To use its features, all you have to do is sign up and choose whatever you want. You will be able to start an instant or scheduled meeting. Schedule by setting the exact date and send email or SMS to invite the attendees and be the host of it. As a host you will have the chance to make someone as presenter, to permit speak, to mute or kick someone out. The joining part is also simple, you just have to enter the meeting ID and your name and then you will be a part of HD videos and crystal clear audio. The video resolution and the volume are adjustable, as well. Get ready to present your ideas online, using the app’s innovative whiteboard and high quality videos, join a meeting within few seconds and host unlimited video conferences. Download EZTalks now from Google Play or from the App Store. It is completely free! Submarine Switcher is a new arcade Android game that is one of those cool, interesting and addictive flappy games. 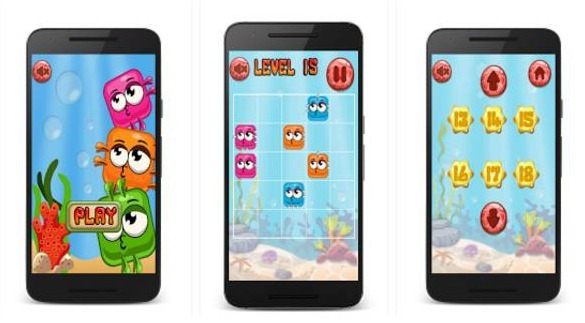 Based in the sea, with cutely drawn sea world, the game will require great reaction skills and reflexes. The goal is to keep the submarine alive as long as possible. The game is semi-hard, challenging and extremely enjoyable. I guess that is created by the creative artwork and the lovely color selection. The one touch control makes the game even more enjoyable. The tricky part about Submarine Switcher is the fact that the game can change the color of the submarine. In that way, when the color pattern changes you need to follow it, because the other obstacles will also change its color and you need to match it. Along the way collect the medals because they can enable you to continue the game when you lose. If you are looking for a relaxing, but at the same time, cool and entertaining game, then Submarine Switcher is a great choice. Get it for free on Google Play. If you are an iOS user and love to play games on your iPhone or iPad, we have the perfect game for you. We are very excited to present to you Rainbow Unicorn, a unique game that will entertain you and challenge you at the same time. Get it now and enjoy its fun features, colorful backgrounds and engaging sound effects, just like we did for the past week. 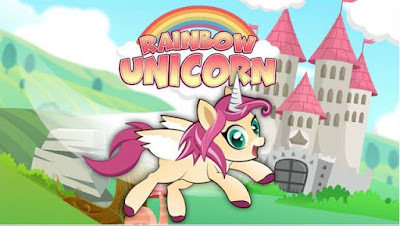 The Rainbow Unicorn game features a fun gameplay that can entertain you for hours. It can be played by users of all ages. The goal is simple, you need to draw lines on your display and make your character, the cute little rainbow unicorn, to bounce and collect the coins that are up in the air. Bounce the unicorn and try to get as further as you can and collect as many as you can. You can use the coins to build the wealth of the unicorn kingdom and upgrade the players and the power-ups. There’s also a kids’ mode that you can unlock and let your children play and have fun. Reach higher scores and higher levels of the game and compete with players from across the world. Check your scores on the game’s online leaderboard and make sure you share Rainbow Unicorn with your friends and family. Download it for free from the App Store and enjoy an endless fun! In the huge, endless ocean of websites, every website and business owner is trying to make something different and unique. As Wordpress is one of the most popular CRM platforms, developers are constantly trying to offer plugins that will help website owners make their website neater, more memorable and unique. One interesting Wordpress plugin, that can be useful to businesses across United States and Canada, and a Wordpress plugin that we wanted to talked about today, is most certainly HTML5 Map for WP Bundle: US+Canada. Let’s see the features and what it has to offer. The plugin contains two separate maps and is coded in HTML5. It works with almost all devices: all computers because you can access it via the most popular browsers, Android and iOS devices (iPhone and iPad). It’s responsive, all states are clickable and there are various customizations available to adjust it to your website’s content. The installation and the setup process is easy. You can set it up in few minutes. The menu of the plugin is intuitive and you can easily manage and customize the map. From there you can group several states to display some info about your sales branches for example. You can add popups for each state and they will show when the visitor’s mouse cursor is on the map, you can adjust the colors of the map and add links. The map is really functional and useful for businesses, especially if the businesses operate in several or all states across United States. In order to create an US map that will target and differentiate several selected states on the West Coast for example, you need to go to “Maps” and take care of the general, detailed and points settings. You can preview the map and when you feel like you have to right one, you can simply export it. You can do that as many times as you want, with different popups, links, fonts, size and colors. Everything is adjustable in the detailed and point settings available in the plugin. It’s indeed a great tool to present information about your business across the country. It’s free for a demo and to feel and see the features. After that it costs $99, but it is a one-time payment. At a fixed $99 cost, this software is a bargain. It offers great customization and it is in HTML5. It’s easy to operate, intuitive, maps look neat and can be adjusted to fit any business. Managing contracts, contractors, invoices, estimates and quotes can be messy sometimes. Especially if your business is booming. A software solution that can help you easily manage all that is a great solution. That’s why today we will speak about a software that can be of great helpful. It’s a job tracker software that offers great amount of useful features, features that will explain bellow. This is a software review that tends to help businesses with a great option in the business software niche. We’ll try to break down the features as simple as possible. The goal of the software is to help you reduce the paperwork and enable you easy overview of all of your current jobs for better management. Your field staff will be easily managed as well. In terms of management of documents, the documents, plans, images for each location can be stored simply with the drag and drop feature. For example you can put all scanned copies of different documents and use them to assign jobs. When we mention assign job, job tracker is also great at that. That is because you can easily communicate with your workers from within the platform. The software enables you to send SMS or email to your field workers/engineers along with the documentation that is needed for that site. If you want to create your own invoices and templates of invoices you can do that simply within Job Tracker. When you later need to print out documents, you will have these professional documents available with few clicks. These are the stand out features, but there are some extra additional features that any business could use as well. Like pop up reminders, recording engineer costs, integration with Excel, Word and Sage 50 and monitoring of the Job and Quotation progress. You can find about more here, it can make a lot jobs easier for any business owner or manager. Being a driver waiting for passengers all day or being a passenger waiting for a cab can be stressful and annoying. That is why we wanted to find an app that can help us to avoid that hassle. Going through Google Play, we discovered a unique app called Ride. Available on the Android platform, the app will amaze you with its easy-to-use features and intuitive UI. 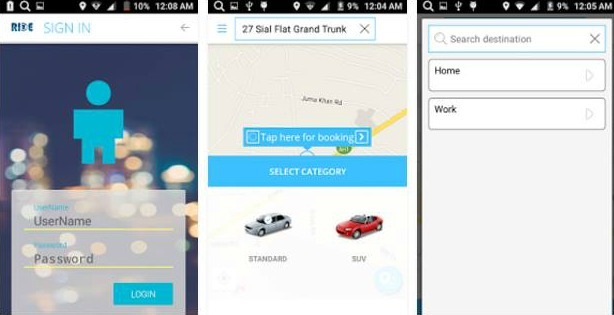 The Ride app allows you to book a professional ride in just few steps. All you have to do is download it and register for free. Then, simply choose the category, enter the destination and book yourself a taxi. It will take you less than 20 seconds. After you order an immediate pick-up with the help of this app, a luxurious car driven by a professional driver will come over to your spot and provide you with an excellent customer service. The app also features a map that uses your device’s GPS, so you can track your car and see where it is. Also, you can either pay in cash or with your registered credit card. Stop spending your money and your valuable time, if you are a driver looking for passengers or a passenger looking for a quick pick-ups, the Ride app is the perfect solution for you. Get it now for free, it is available for download on Google Play. If you are looking for a game that will entertain you and challenge you at the same time, look no further because we have one of the best puzzle games ever! 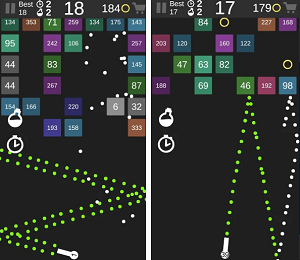 The game that we are hyped about is called Smart Connector - Connect 4, created by Net Prospection and launched on the Android platform. Designed with clean user interface and great graphics, this puzzle game will addict you to the fullest. Once you download the Smart Connector - Connect 4 game, you will see that the gameplay is simple and challenging and the controls are easy. All you have to do is connect all the fish that are lost in the sea. 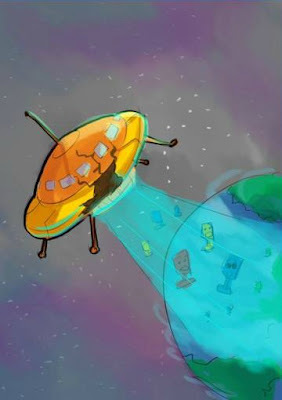 You will be connecting three types of fish: a blue fish that can change location without turning, a pink fish that can rotate without changing its location and an orange fish that can both change location and rotate. Connect them and win as many levels as you can. It features 99 levels, but note that there will be new ones added in the feature. The Smart Connector - Connect 4 puzzle game will train your brain and entertain you anywhere you are, anytime you want. Download it for free from Google Play and enjoy the fun! The good bible apps are really rare on Google Play. They are either too clunky, dated or simply not showing the needed content in the right way. Today we will review an app that is one of our favorite bible apps – Niv Bible: Free Offline Bible. We wanted to re-decorate our office, so we tried to find some helpful app that can offer some ideas and inspiration about interior designs. Going through Google Play, we discovered Interior Decorating Ideas, a lovely Lifestyle app that is compatible with both Android phones and tablets. The app is created by UMobile Apps and it is designed with clean user interface and useful features. Interior Decorating Ideas is an easy-to-use app and it is one of the best ways to find great ideas and inspiration about interior designs. 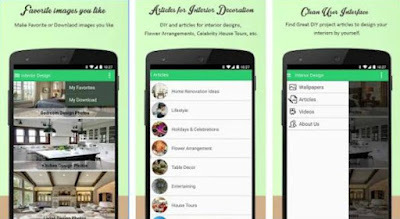 Using this app, you will be able to find out new decorating options for your home, office, gym, exterior, garden, garage, etc. Choose between viewing interior design photos, videos or articles and share them with your friends. Each of the photos can be downloaded and made as wallpaper to your device. Favorite the ones you like and learn how to design your interior on your own by using the DYI project articles. For easier access, everything within this app is categorized. There are many categories, such as for Stylish House Tours, Flower Arrangements, Home Renovation Ideas, Holidays and Celebrations Inspiration, etc. Get the collections by downloading the app for free from Google Play. There are tons of watch faces that offer new and innovative ways to make your Android wear look more awesome. Today we present to you one of the best watch face apps available on the Android platform. 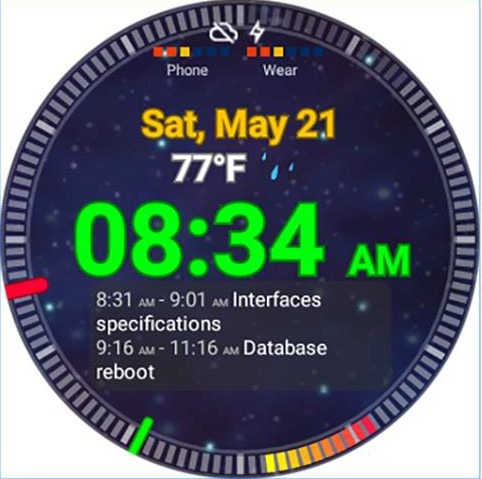 It is called Ultrawatch Free Watch Face and it is completely free for anyone who wants to own customizable watch face. The app is created by Reunidev Apps and it stunned us with its friendly user interface and lovely packed features. Install the Ultrawatch app and press “resync app” on your Android wear if not available or make a long press on your watch and choose the app. Then, you will be able to adjust everything and make it look like you want to. Switch between a SciFi face to a minimal one and use digital or analog display. The app will display the exact time, the exact date and the exact temperature on your Android watch. Just go to the settings menu and choose the color and texture you like, configure the interactive mode duration and the weather refresh interval. You can use the integrated steps counter, battery matter and many other options. Compatible with round watch and tested with LG Watch R, the app can be downloaded from Google Play, it is free of charge! If you don’t want to struggle anymore with waiting rooms, germ-filled offices and high prices when getting your medical diagnostic service, we have the perfect match for you. We’re talking about this medical iOS app that we discovered recently, called ProDiagnose. It provides with ultrasound services, directly brought to your home, office or any place you are. The features are well-organized and user friendly. 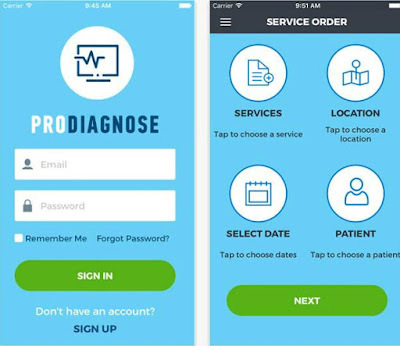 In order to use the ProDiagnose app, after you download it you have to sign up. Then, you will be able to search through dozens of medical services, such as Echo/Cardiac/Heart, Vascular Ultrasound, General Ultrasound, Muskuloskeletal, OB/GYN Ultrasound, etc. Click on the one you need and schedule your appointment. The payment is easy, you do it with your credit card, without any additional charges and hidden fees. On the date you’ve scheduled, a board-certified and well-trained technician will come to your place and perform your test. You will receive your reports after 3-5 days and you can check them online. 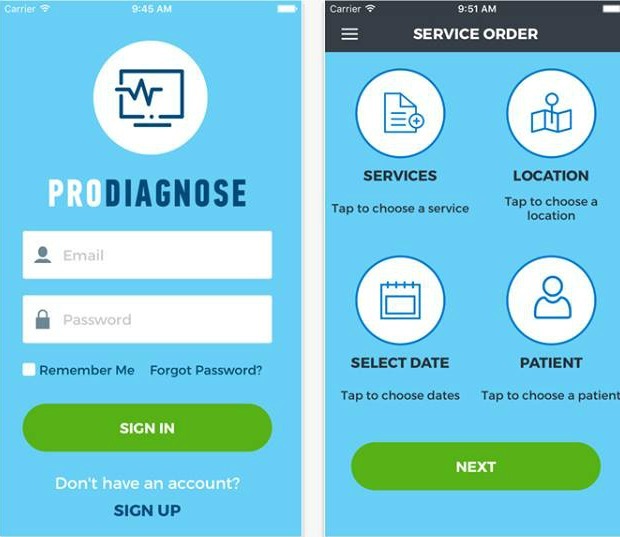 They are made by licensed and experienced radiologists, so if you want a safe and stress-free way of getting the medical service you need, download ProDiagnose for free from the App Store. It is currently available in Los Angeles and Orange County area but it is expanding and will be available in new locations. If you're looking for a new and entertaining game that will keep you engaged for hours and on, look no further because we have the perfect one to share with you today. The game that got us all addicted and challenged is called Shifty Bits and it is now available for all of the iOS users worldwide. Created with colorful backgrounds and fun sounds and sound effects, it will glue your hands to your device! After you download and start Shifty Bits, you will be stunned of its unique and fun gameplay. Your character that you play along with is an awesome robot called Blip-Blop. He will be your guide and he will tell you how to play and everything you need to know. Your main goal is to drag the tiles of the puzzle in order to match the colors and win the level. 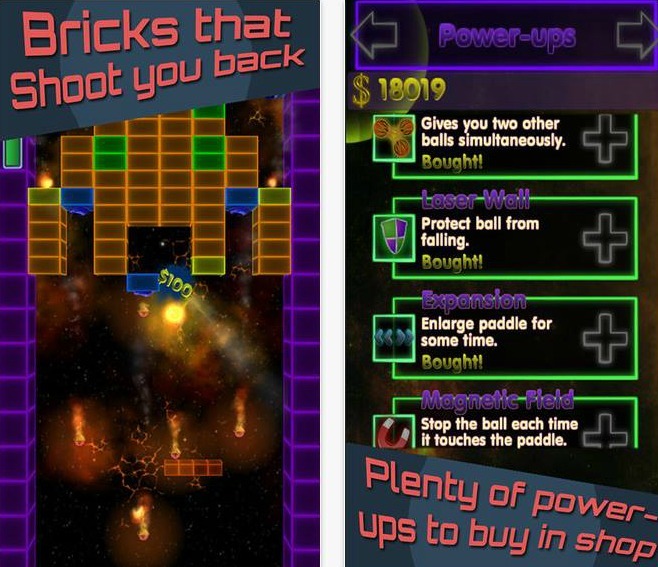 There are 100 difficulty levels included, so play and try to win as many as you can. You choose the gameplay mode (easy or hard) and the language too. You can choose between English, French, Portuguese, Russian, Spanish, Japanese, Dutch, German, Chinese and Korean. Download Shifty Bits and start enjoying a game with no shooting, no violence, just puzzles that will keep you relaxed and entertained. Get it for free from the App Store. Visualizing how a room will change with decorated tables and chairs is quite a struggle. If you are planning some event and want to know how the decorated room will look like, we have the perfect solution for you. We are talking about an amazing app called iDécor Options, available on both Android and iOS platform. It is designed with unique features and easy to use interface. iDécor Options can help its users to see different options for decorating tables and chairs. 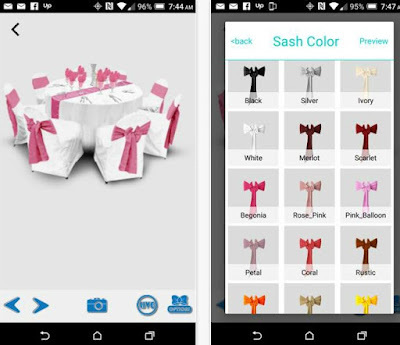 The decorations focus on table linens and chair covers, so if you download the app you can try and match different color and material combinations and create the perfect set-up for the event you’re planning. You can change chair cover material and color, sash material and color, table linen color, napkin color and even the background. When you finish creating your perfect décor, you can view it in three different options, take snapshot and share it with your friends and family. iDécor Options is available in two versions. The free version allows the users to see how the full version operates, so if you want to enjoy every feature of it, download the full version for $4.99 from Google Play or from the App Store. The most entertaining thing we do on our devices is hang out on out social media apps. That is why today we present to you relatively new and fresh social networking app, called Lili Social. The app is developed by Social Media Group and it is now available for all of the iOS users out there. The design is simply marvelous and its features unique and fun. 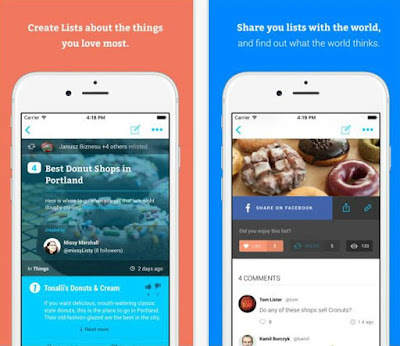 Lili Social is so unique because it is the first social networking app that lets you create and share lists about the things you like and care the most. All you have to do is download it and sign up. Create your profile where you can post your lists and let other people see it. Follow users from across the world and let them follow you. See their lists and promote your knowledge and favorite restaurants, reading lists, movies, places you’ve been or things you desire in your life. You can publish your lists public or private, it is up to you! The app will send you notifications whenever new lists are created. Like, comment, view, relist and share the lists with your Facebook friends. Discover the best things in life by downloading Lili for free from the App Store. If you run any type of business online you will need a simple, useful and stable customer service software. A software that will not only enable you to quickly respond to your customer’s inquiries, but also manage your team members and organize them so you can serve your customers in a better way. One of the best in the business, and a software that we will talk about today, is most certainly Bornevia. In order to explain the features of this software, we will breakdown the best features. In that way you will determine whether this is the best and most useful software for your business. First, It’s logical that this type of software to offer ticket assignment. This means that you can delegate any support ticket to any team member. 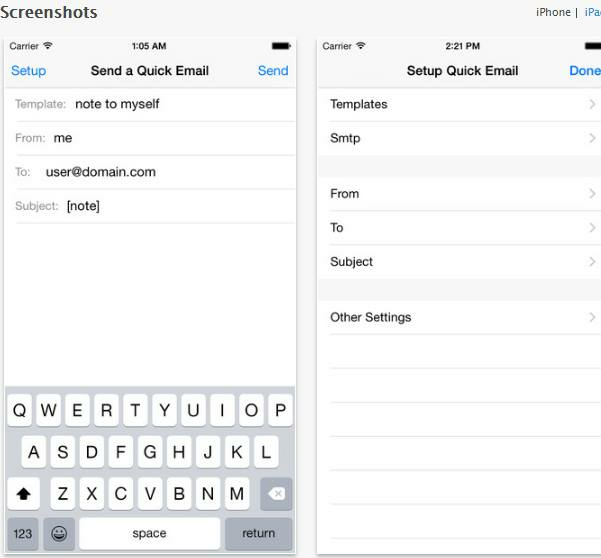 If you have note or a specific thought in mind, you can leave a note with just mentioning the username you will previously create in Bornevia. Besides that, when you respond to your customers, you will get a notification if he/she have read the email. Here we would also like to mention the ultra-useful feature – Canned Responses. With Canned Responses you will be able to prepare pre-written responses based on your customer needs. This and the Autoresponder feature that is also available can be real time savers! If you often have similar problems and solve similar issues, you can assign hashtags to the similar tickets. In that way you will better organize your tickets and offer faster responses. Bornevia goes deeper into integration offering seeming less API integration that will connect your internal systems and Bornevia’s platform. Besides offering some other smaller features, Bornevia also stands out from the analysis it can give you for the customer support tickets. From Average Resolution Time, to individual metrics about the team members, reports and top hashtags, this customer service software can really offer amazing analysis. The software is broad, feature-rich and intuitive. Not only that it can offer great functionality to better serve your clients and improve your overall customer support service, but you can also better manage your customer support team. The price of this wonderful customer support tool is just $10 per month for each user you register (this is only for the year subscription). If you pay month by month, the price is $20 per month for each user.